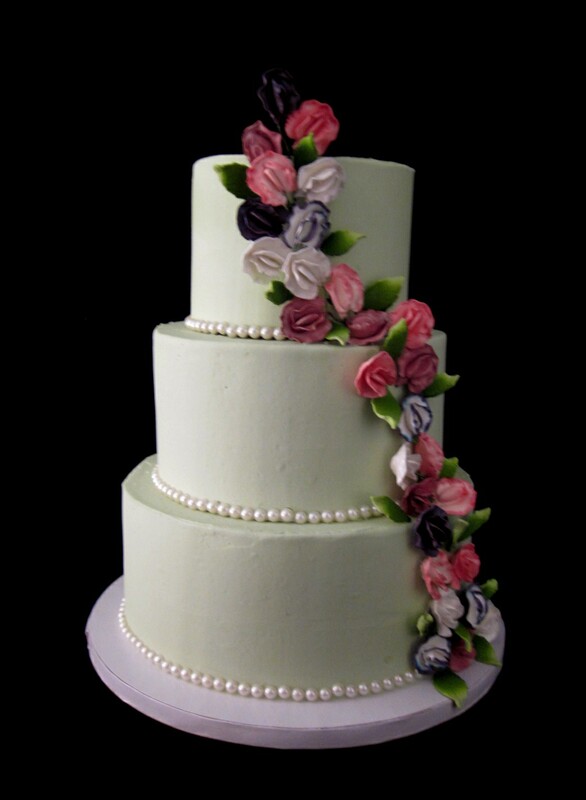 This lovely light green wedding cake adorned with pink, purple, and white sweet peas iced in a vanilla buttercream. 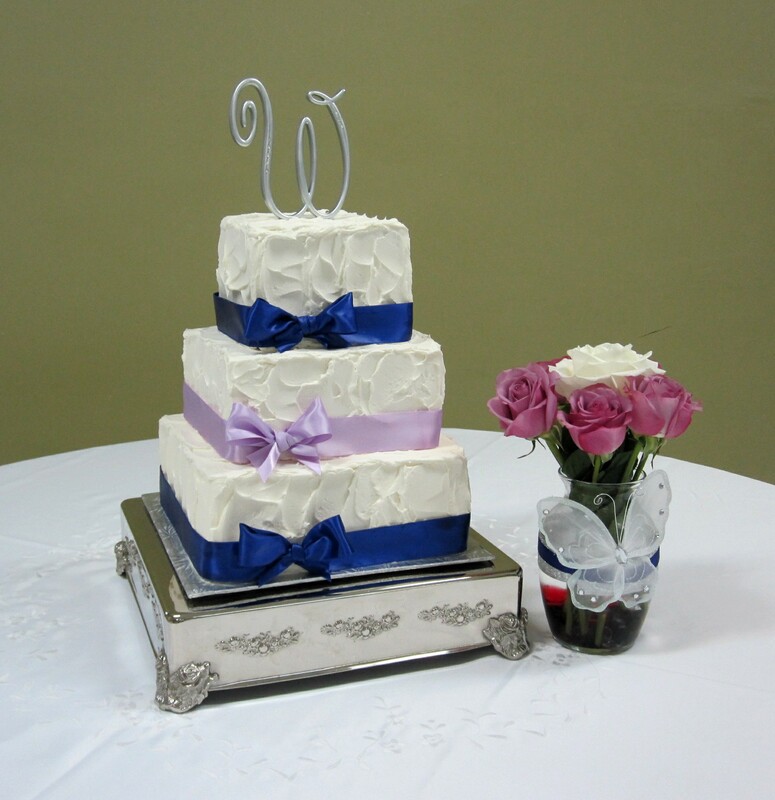 All three tiers of the cake were different flavors. 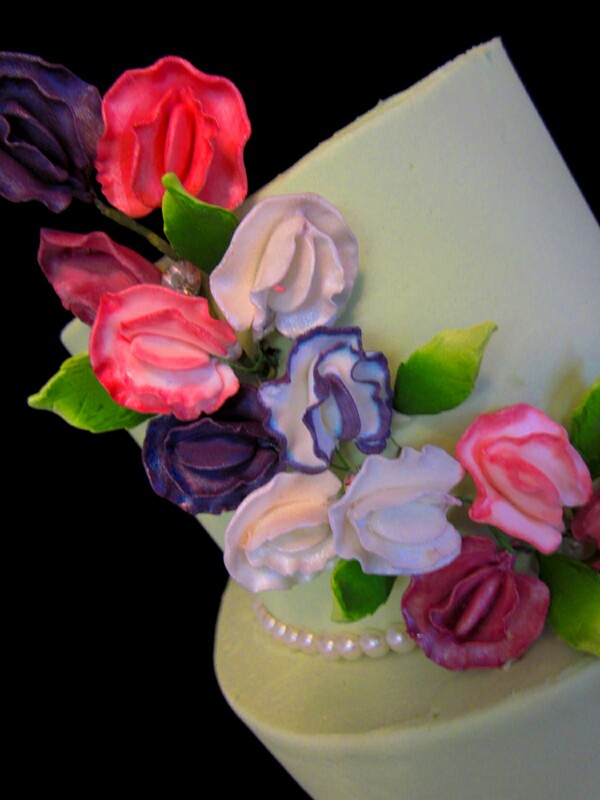 The sweet peas are created in gumpaste and hand painted with luster dust. 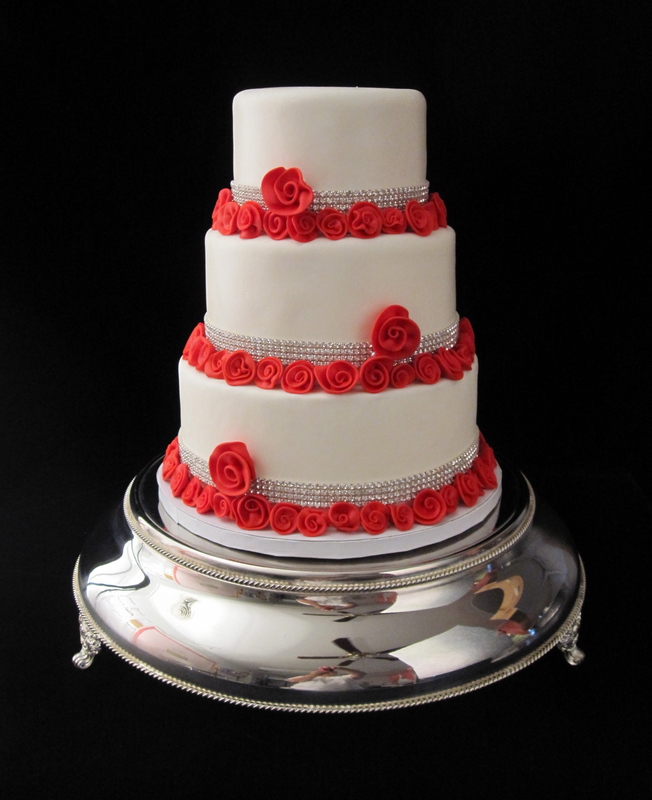 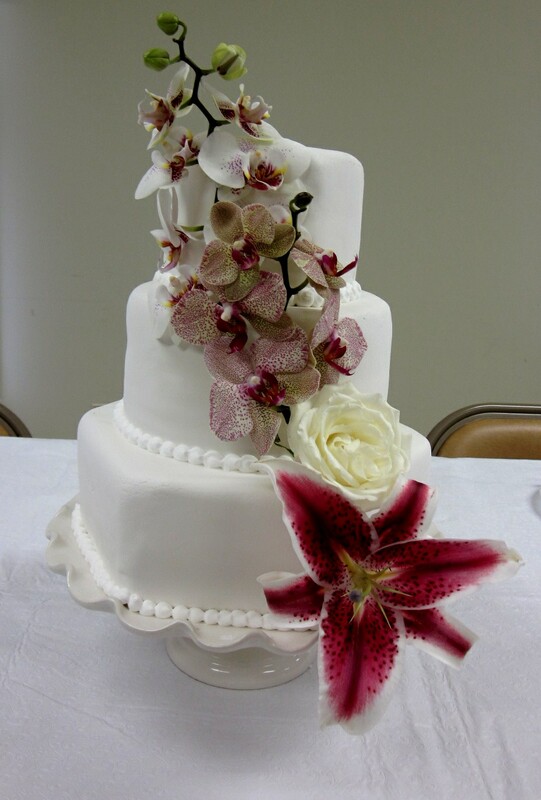 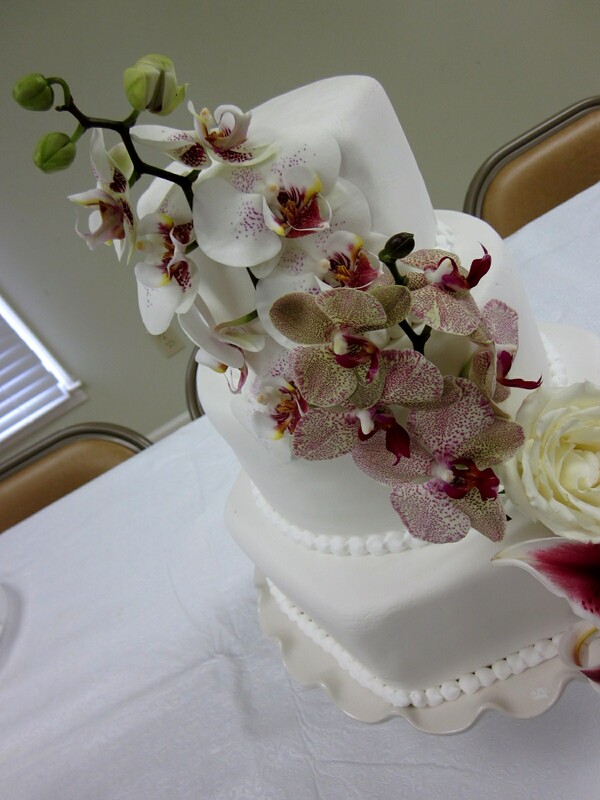 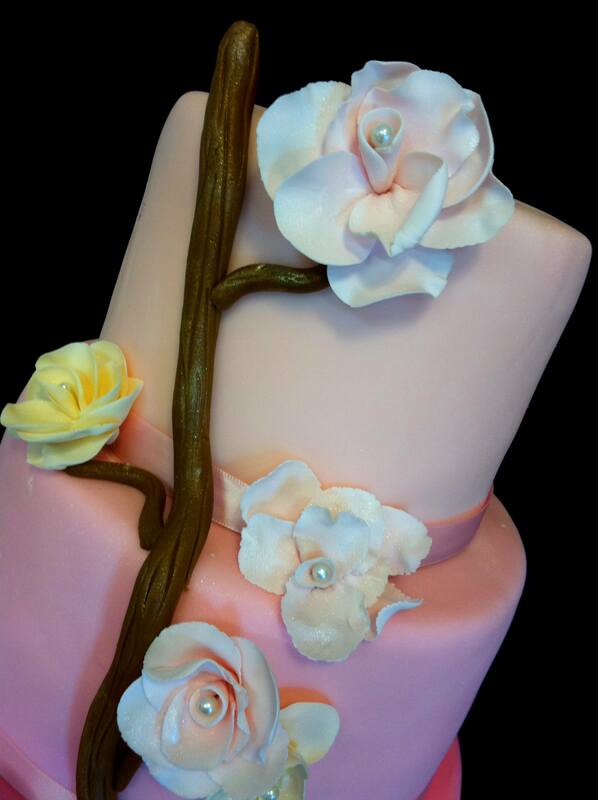 This pretty, feminine, 3 tier birthday cake was created for a Sweet 16 birthday girl. 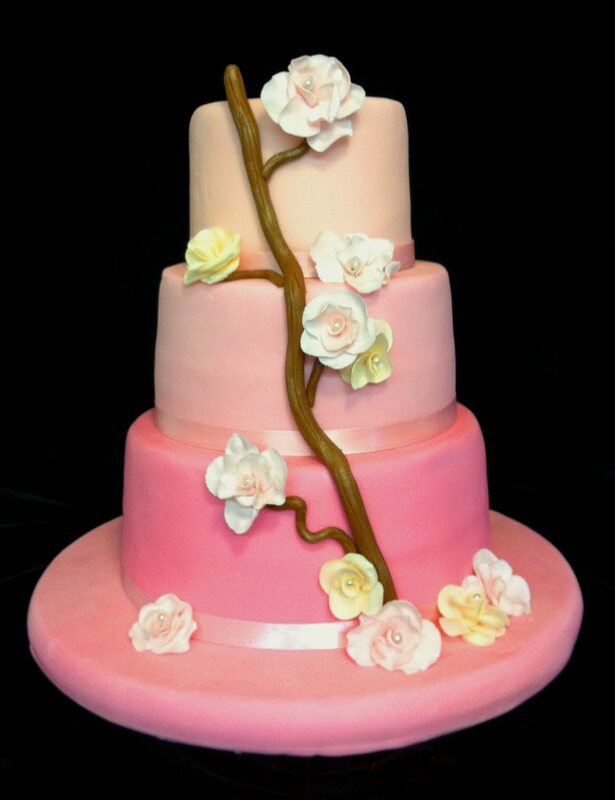 The cake consisted of varying shades of pink. 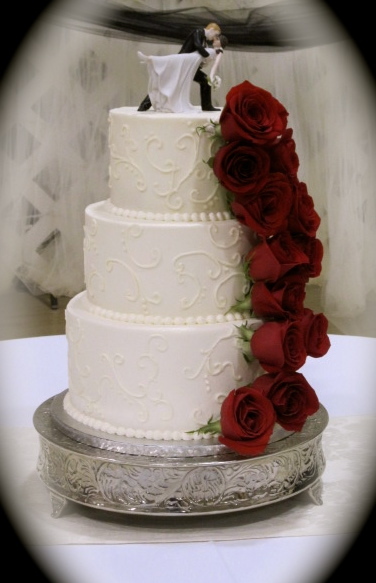 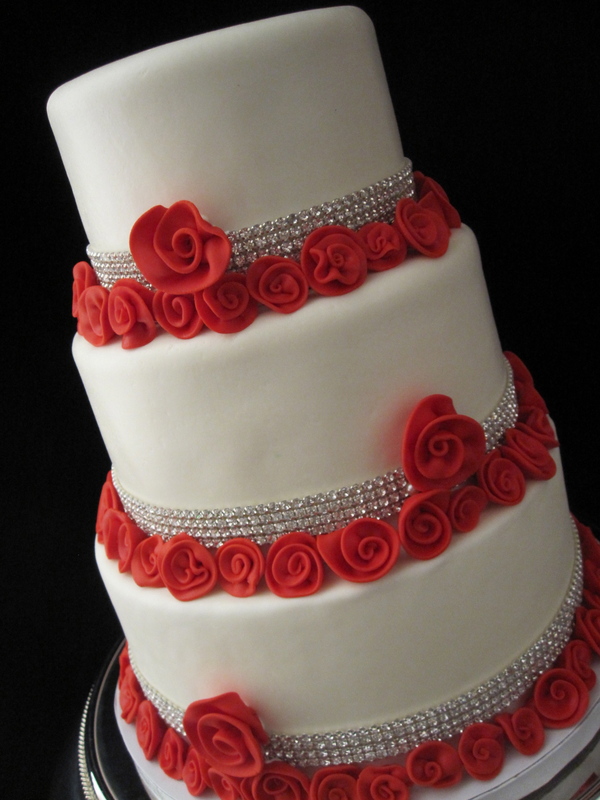 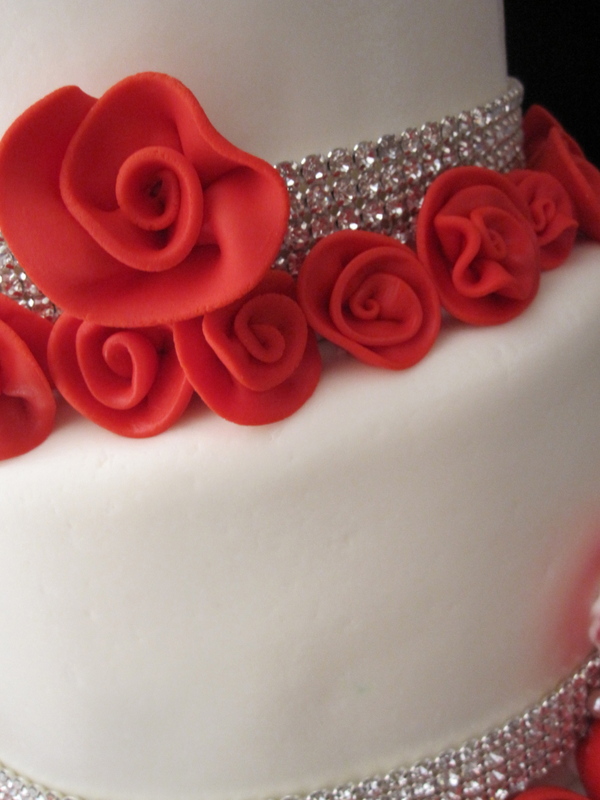 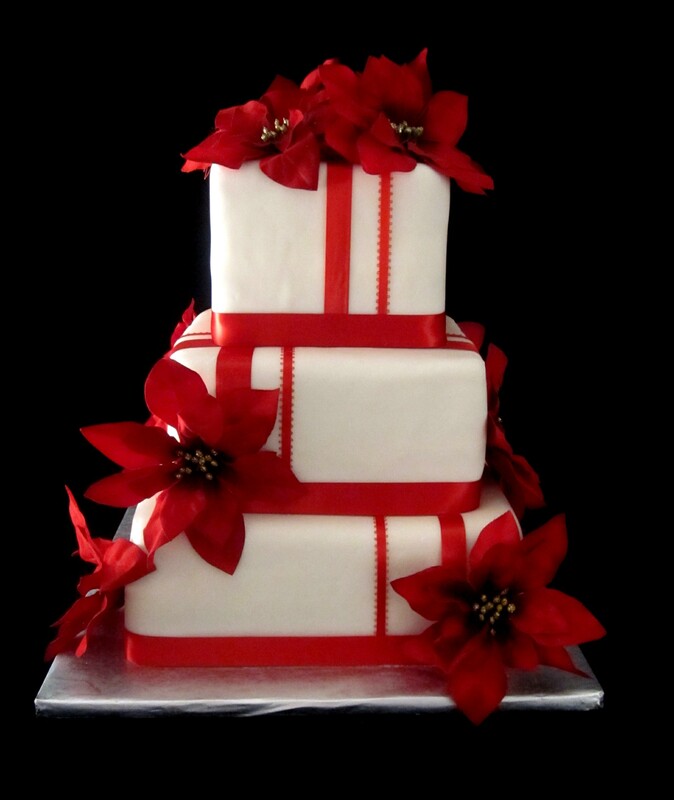 The branch is made of fondant and the roses are made of gumpaste.